This photo about parking seaplane in front of the Royal Castle in Stockholm was taken by Jann Lipka in 2009 summer. 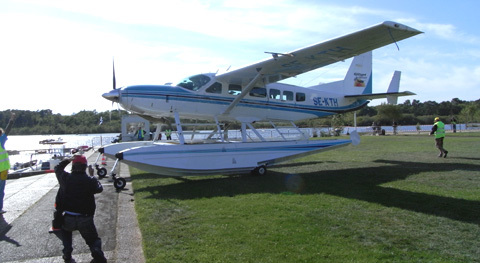 The seaplane is a 10 seats Cessna 208 Caravan Amphibian. We saw it last in Biscarrosse on May 2010. 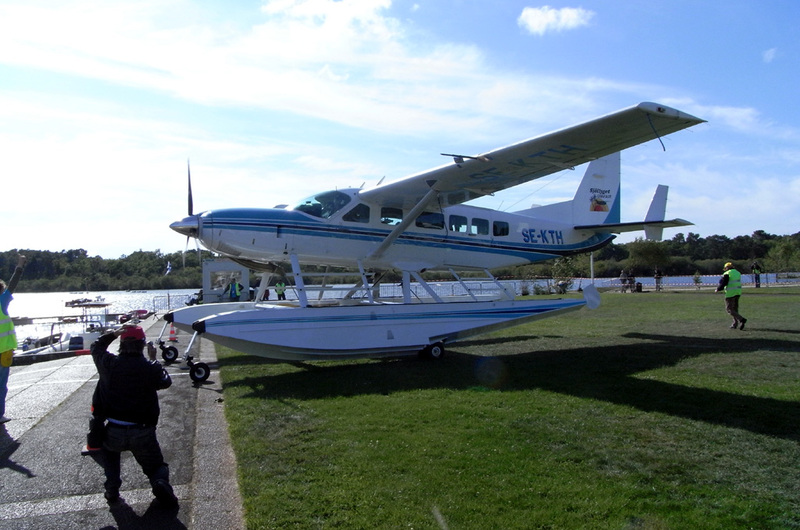 The seaplane owner is Viamare Sjöflyg in Stockholm, Sweden. The best panoramic image can be zoomed to full screen to enjoy.